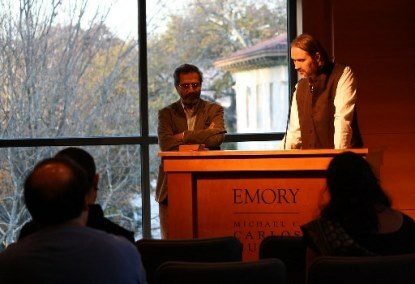 an academic department in Emory College that offers a comprehensive major in Middle Eastern and South Asian Studies, a major in Arabic Studies, and minors in Arabic, Hebrew, Hindi, Persian, and Mediterranean Archaeology. dedicated to teaching, researching, and understanding the Middle East and South Asia in a comparative context through a multidisciplinary perspective. premised upon the importance of understanding these areas through primary sources, whether textual or material. provides an integrative vision of the Middle East and South Asia that sees these areas as linked through economic, social, linguistic, and cultural connections that have existed since pre-modern times. 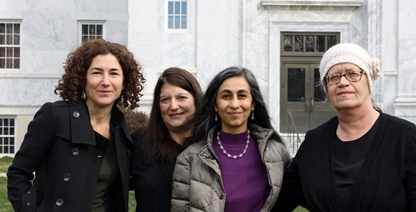 serves as a primary educational and informational resource on the Middle East and South Asia for the Emory community, Atlanta, and the Southeastern United States. explore the languages, literatures, history, cultures, religions, and ideas of the people of the Middle East and South Asia in their historic locations and in their diasporas. approach the study of the Middle East and South Asia integrally, focusing on historical, cultural, and religious continuities from the ancient Near East and Indian sub-continent through the Islamic period and to the present day. promote sound intellectual inquiry and civil discourse regarding the full range of issues that fall within our purview. train our students in a variety of skills, including language proficiency, critical thinking and reading, methods of historical interpretation, and clear, analytical writing that will help them become leaders in a variety of fields and endeavors, including business, law, medicine, public service, and academia.